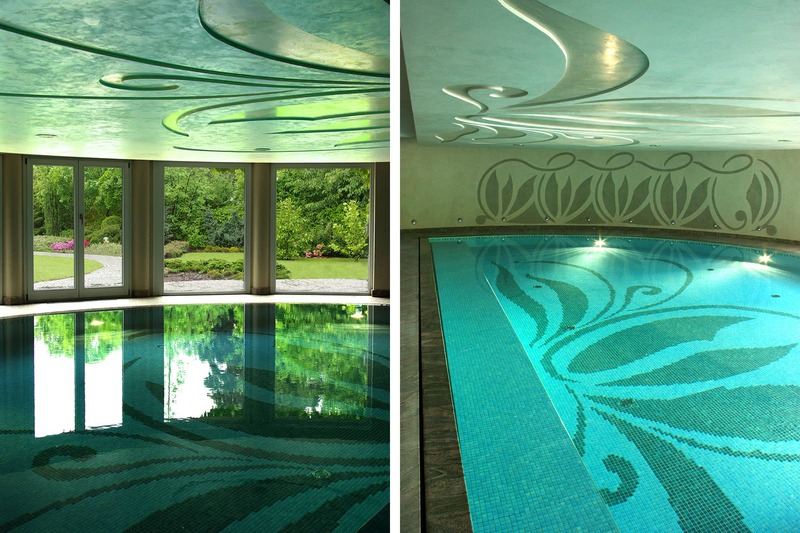 The programme of this pre-war Art Nouveau villa in Wrocław was expanded by the addition of a swimming pool. The context to date and natural conditions enforced disadvantageous decisions, including the low ceiling and the shape of the pool itself (a section of a circle), on the designers. The solution offered is on the one hand a dialogue with the Art Nouveau tradition, and an attempt to neutralise the flawed proportions of the room to be redesigned on the other. New quality of the space was achieved through the leading theme making use of variation with organic floral motifs and the application of measures optically boosting the height.